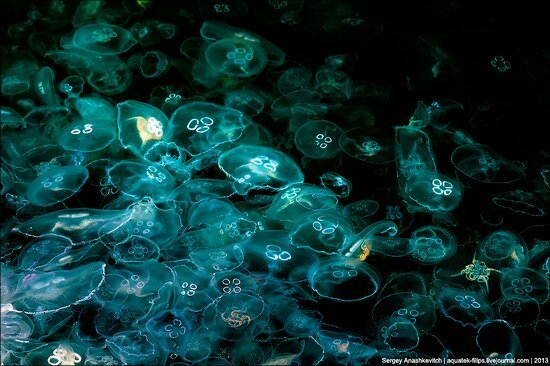 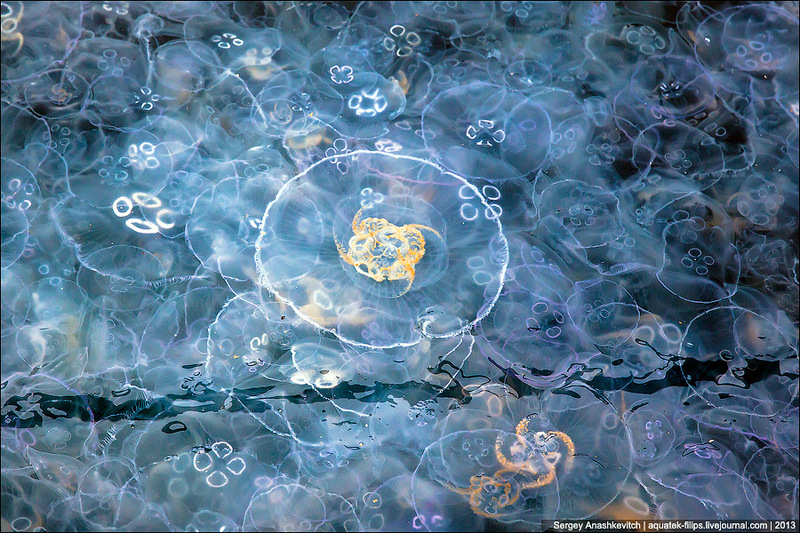 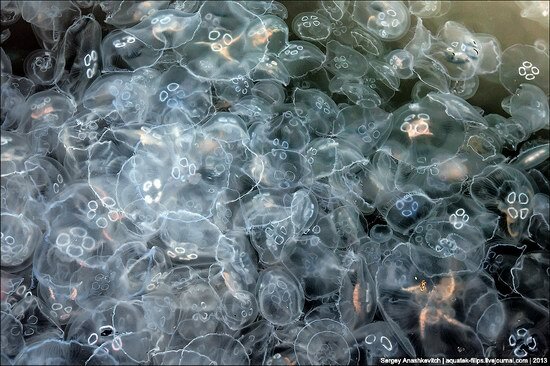 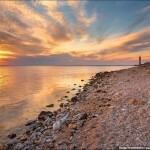 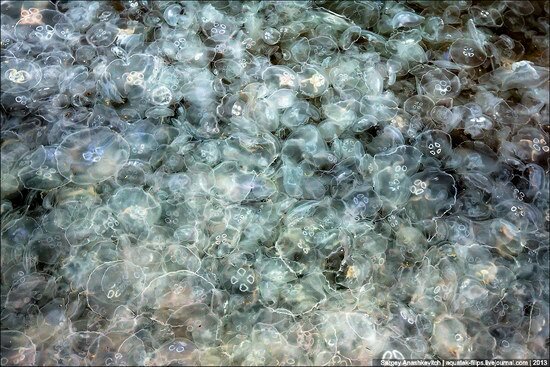 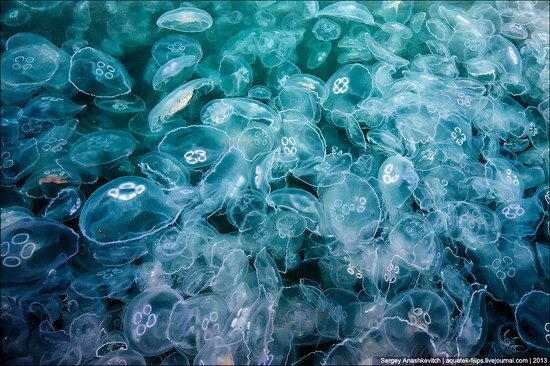 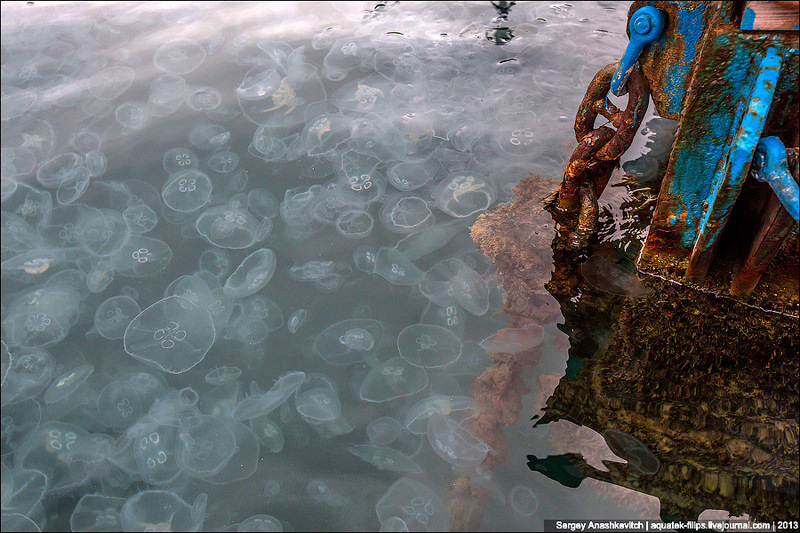 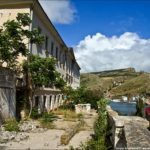 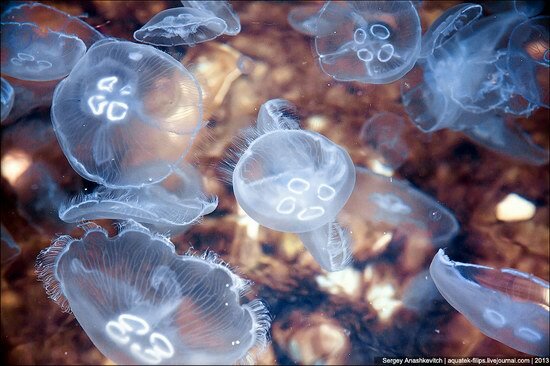 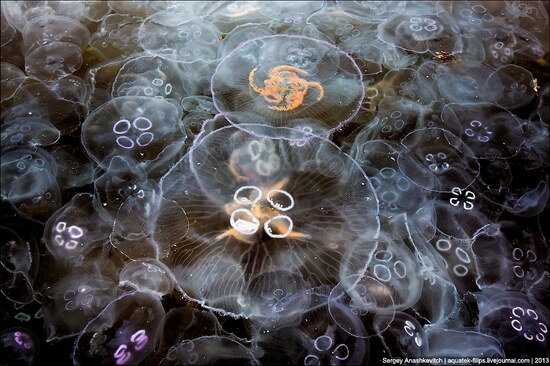 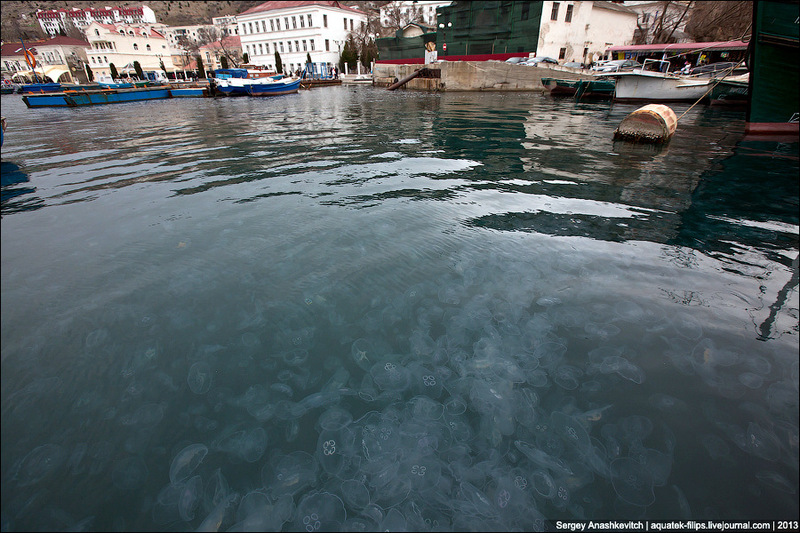 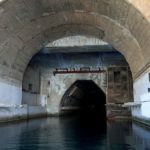 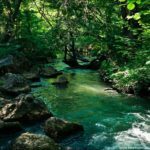 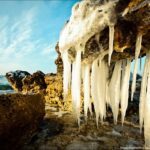 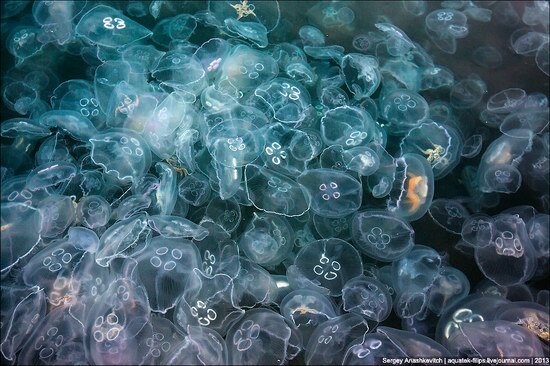 At the beginning of spring, in the Bay of Balaclava near Sevastopol, one could observe an unusual phenomenon – the entire water area of the bay was filled with jellyfish. 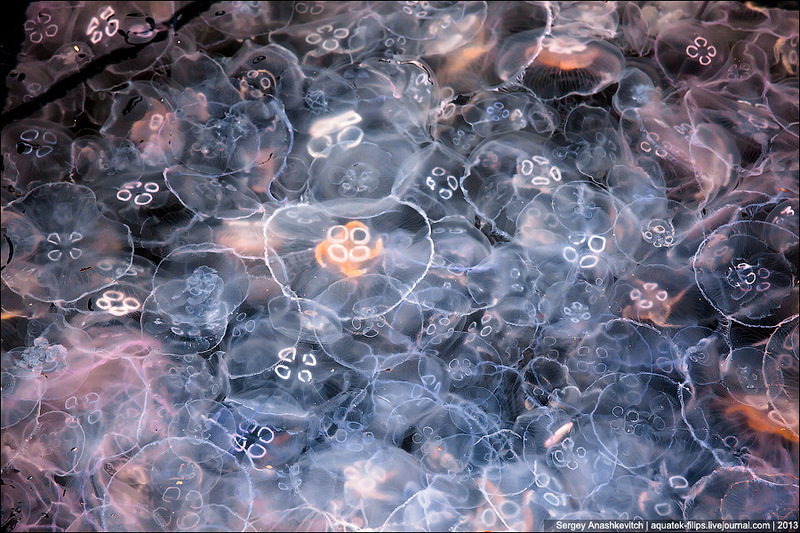 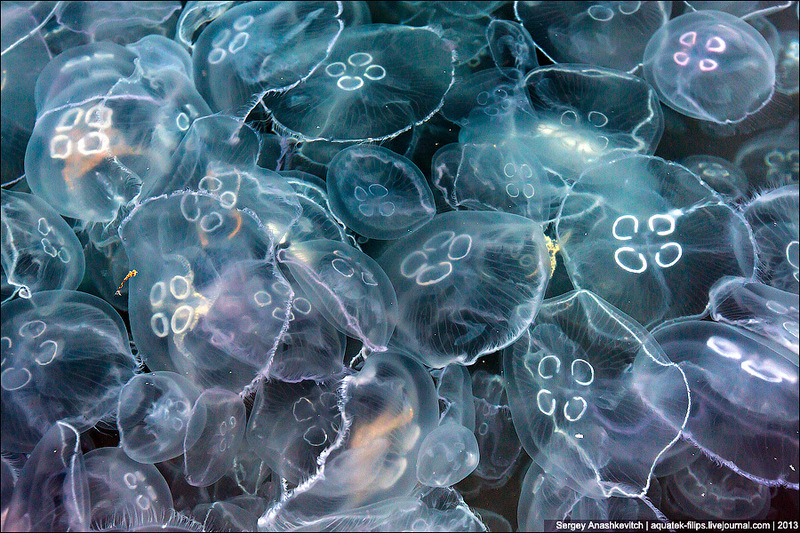 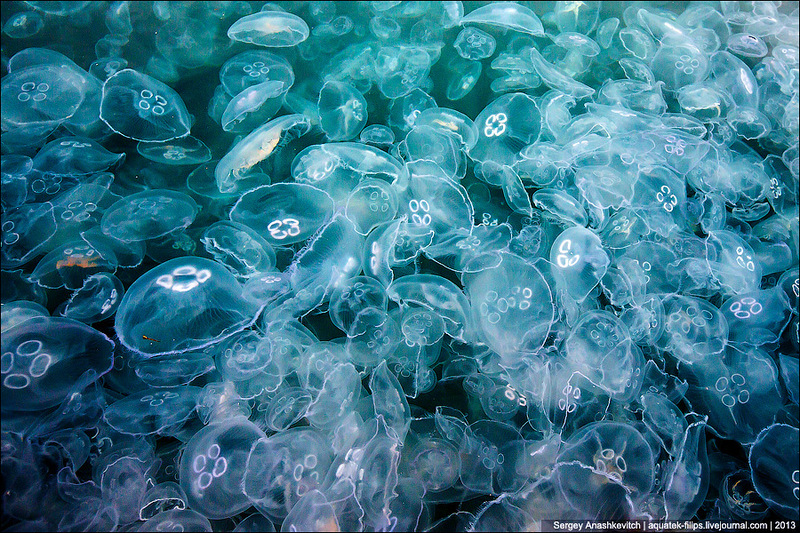 Billions of jellyfish turned the waters of the bay in a solid white jelly. 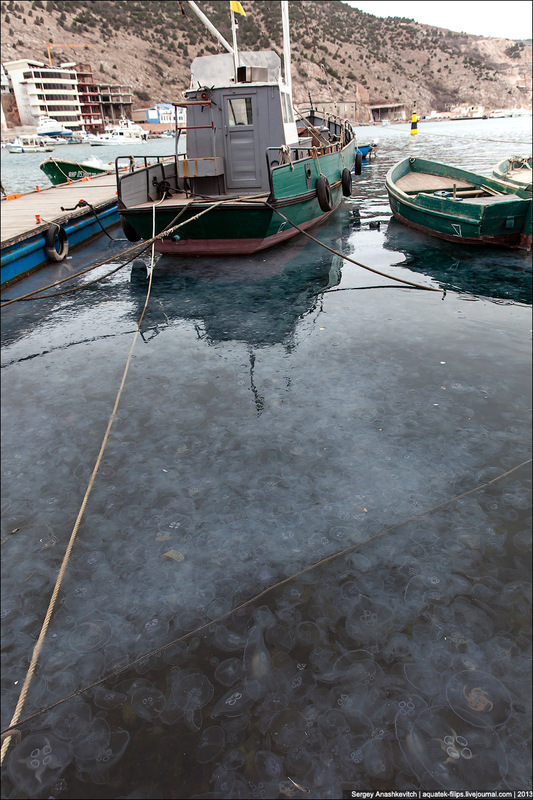 Boats and yachts were among this mess, and jellyfish thrown out on the waterfront by waves squelched underfoot of strolling people. 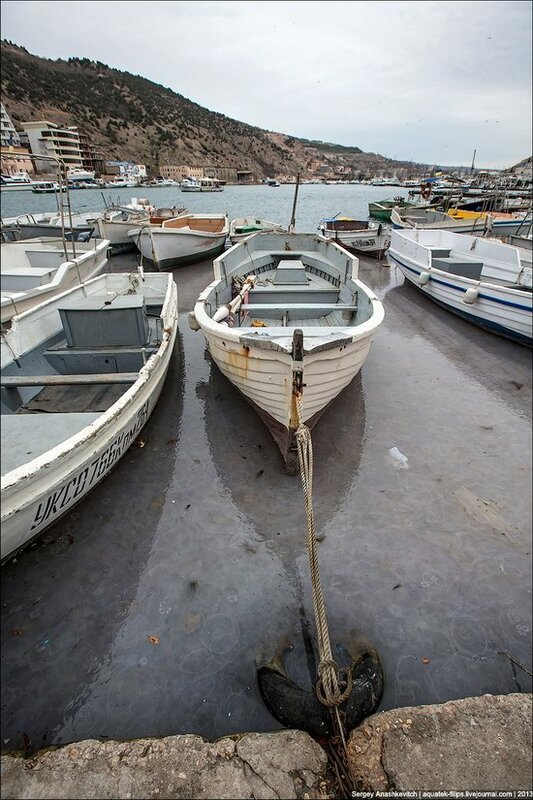 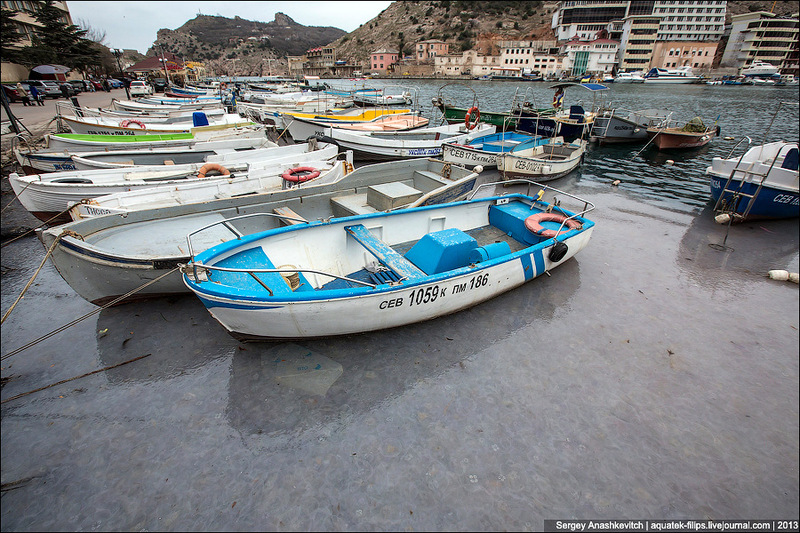 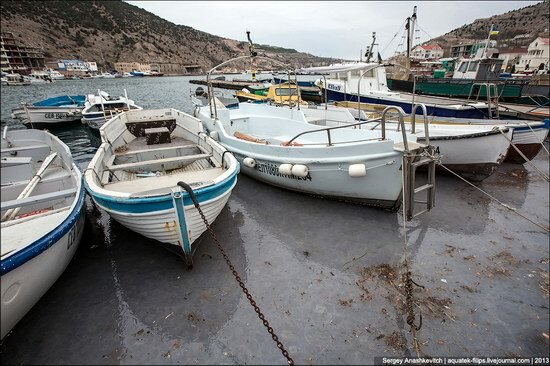 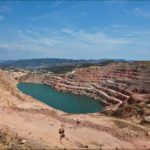 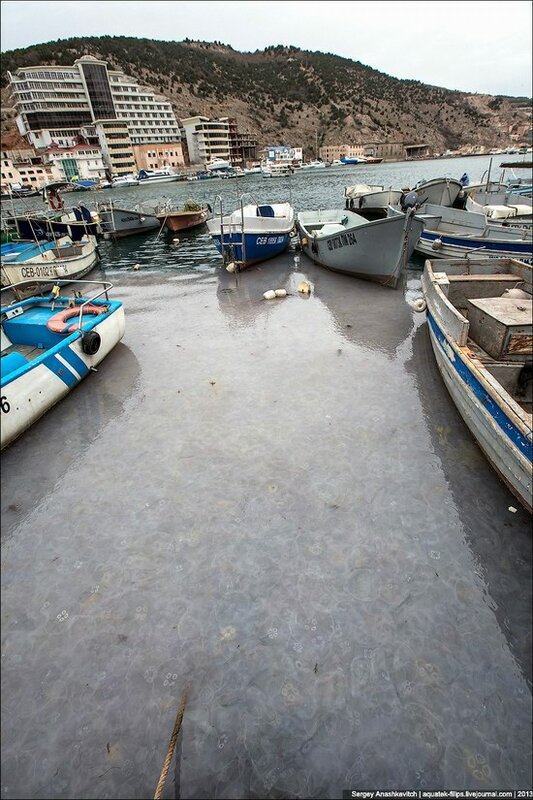 According to the researchers, this phenomenon happens sometimes due to various water flows, causing the jellyfish to congregate in the waters of the bay of Balaklava like in the bag.